I was walking along Park Row a few weeks ago with a group of friends, and noticed signs for the new Indian Tiffin Room where Wagamamas used to be. We all commented on how inviting it looked, so when I was out in Leeds with James recently and we needed somewhere to go for lunch, it was the first place that sprung to mind. 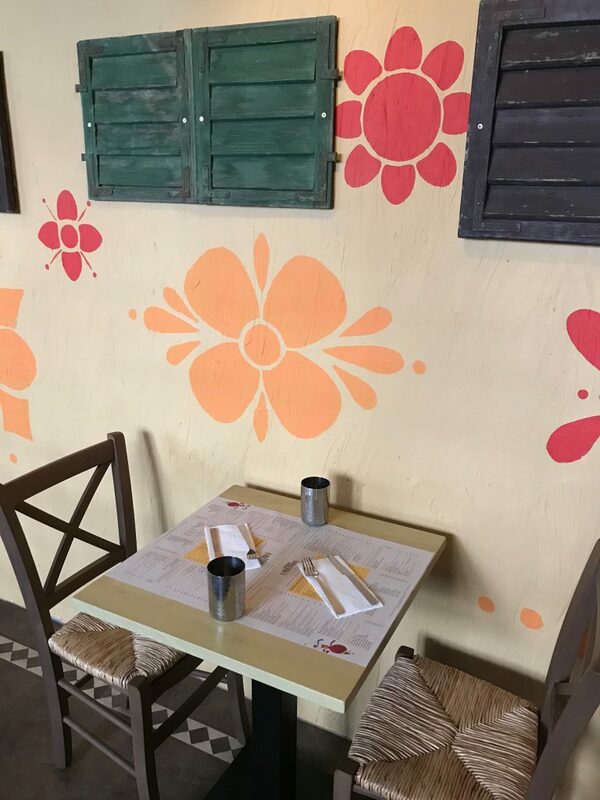 The Indian Tiffin Room looks really lovely inside. 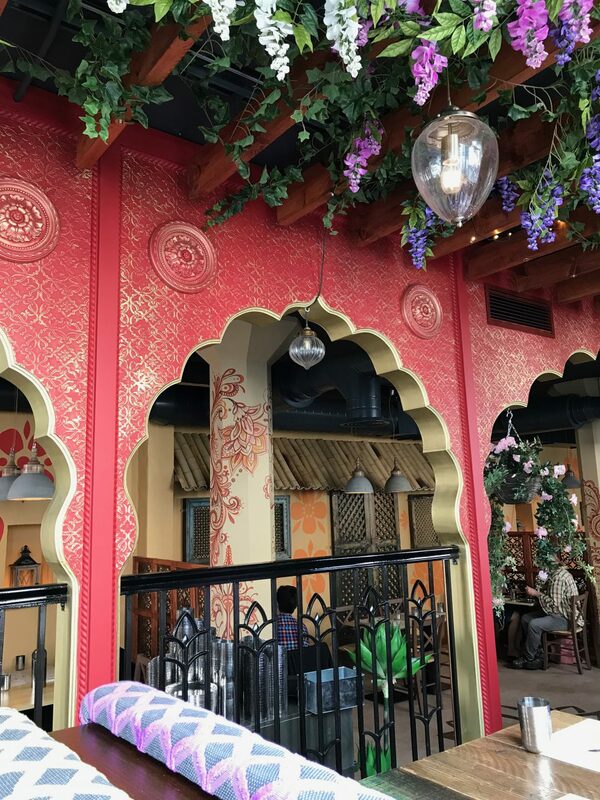 Flowers and lanterns hang from the beams in the ceiling, the walls are brightly painted, and there are plush booths as well as wooden seats. There’s also a bar area, which looked pretty swish, although we didn’t give it a try. The menu is great. 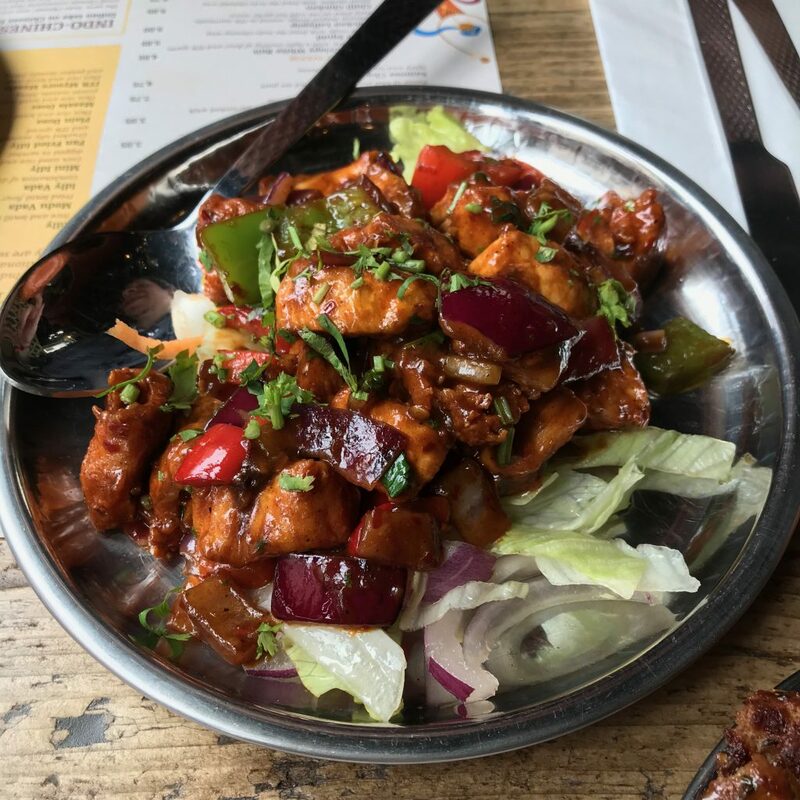 There’s a good mixture of both meat and vegetarian dishes, street food items as well as bigger curries, and there are also a few Indo Chinese options which was good to see – all perfect for James and me. 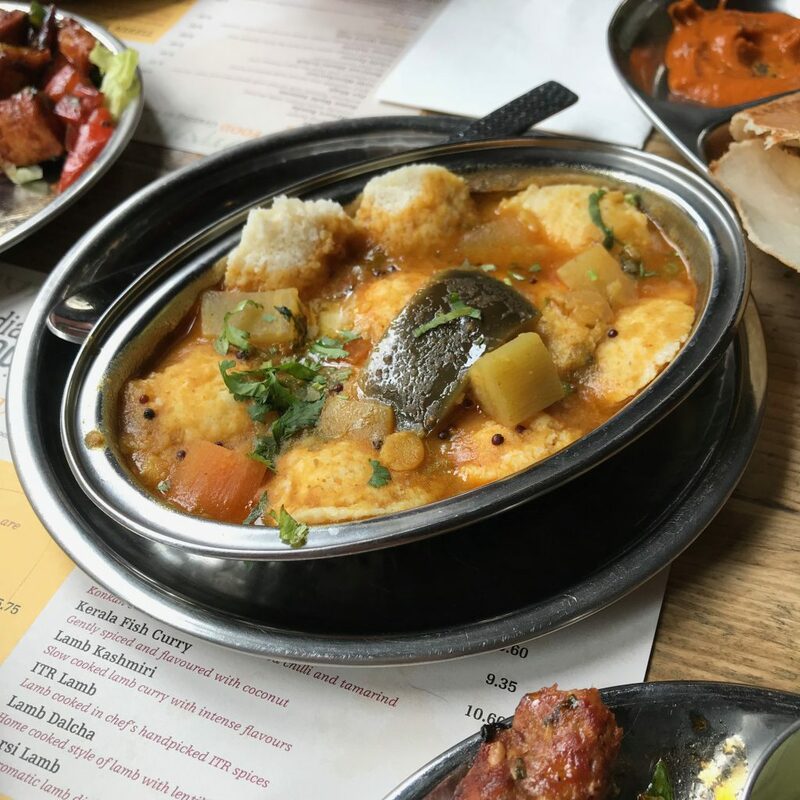 We went for the chilli chicken, sheek kebab, mini idly (rice and lentil dumplings) and masala dosa (thin rice and lentil crepe with potato masala filling). All of them were incredibly tasty. I could have picked at that masala dosa all day. I’d love to go back and try some of the bigger curry dishes. I’m very much into my street food and don’t mind how it’s served, but it was nice to go to a “proper” restaurant for a change and eat some delicious food that was presented really beautifully. The staff were friendly and very knowledgeable. We heard the party next to us quizzing our waiter about both the food and the story behind the restaurant, and he managed to answer all their questions. I wasn’t planning on blogging about Indian Tiffin Room – I like to go to a place a few times before I recommend it – but whilst I was there I kept thinking “I must tell so and so about here”, “I know who else would like it too”, and “It would be great to come here with blah blah”, so I took that as a sign that I should feature it on the blog!